Six priority zoonoses for Tanzania were recently identified at a One Health workshop in Dar-es-Salaam. Workshop participant and LLH co-investigator Dr Emmanuel Swai reports on the next steps. Participants of the retreat meeting held in Bagomoyo, Tanzania. After concluding the One Health Zoonotic Disease Prioritization (OHZDP) workshop, a week-long retreat organised and funded by the Food and Agriculture Organization (FAO) Country Office in Tanzania, through the Global Health Security Agenda/Emerging Pandemic Threat 2 programme (GHSA/EPT- 2), a component was convened in Bagamoyo, Tanzania, to develop surveillance guidelines for the priority zoonotic diseases identified. The retreat was held earlier this month and attracted members from Tanzania’s Ministry of Agriculture, Livestock and Fisheries (MoALF), Ministry of Health, Community Development, Gender, Elderly and Children (MoHCDGEC), FAO, College of Veterinary and Medical Sciences of the Sokoine University of Agriculture (SUA), Tanzania Wildlife Research Institute (TAWIRI) and One Health Coordination Unit under the Prime Minister’s Office in Tanzania. 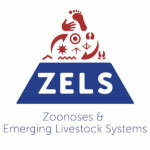 As a member of the International Health Regulations ( IHR) Technical Working Group on zoonotic diseases and One Health National Technical Working Group on disease surveillance, as well as a co-investigator on all three LLH projects, I was pleased to represent the ZELS-funded LLH programme at the retreat. Other LLH representation came from Professor Rudovick Kazwala who is also a member of the One Health National Technical Working Group on zoonoses research and Dr. Niwael Mtui, a member of the One Health National Technical Working Group on antimicrobial resistance (AMR). The retreat focused on developing the guidelines for priority zoonotic diseases that were agreed upon in March 2017. These were: rabies, Rift Valley fever (RVF) and viral haemorrhagic fevers such as Ebola and Marburg), zoonotic avian influenzas, anthrax, human African trypanosomiasis (HAT) and brucellosis. The input from the LLH programme has been around RVF and brucellosis. The data gathered over the past three years of the field research was one of the helpful resources used to guide development of the contents for the specific zoonotic disease surveillance guidelines for these diseases. It is expected that these guidelines will revolutionise surveillance for field animal and public health workers, and strengthen collaboration on sharing of information and data between public and animal sectors. Read a report on the OHZDP workshop by Dr Swai (pdf). Dr Swai is an epidemiologist at the Ministry for Agriculture, Livestock and Fisheries, Tanzania.